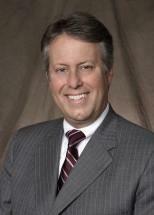 Ted P. Hammel is a Senior Partner at Hammel Law Offices, P.C. In 1985, Mr. Hammel earned his Bachelors of Science degree from the College of Business at Marquette University. After graduation, he was employed at the Continental National Bank of Chicago. In 1986, he enrolled in The John Marshall Law School of Chicago. During law school, he clerked for the United States Army Judge Advocate General’s Office VII Corp, Munich, Germany. While in Germany, he assisted soldiers with consumer purchasing issues, estate, & contract matters. In 1989, he graduated and received his degree of Juris Doctor. After two years as a Will County Assistant Public Defender, he established Hammel Law Offices, P.C., in Joliet, Illinois, concentrating in criminal, landlord tenant, and family law matters. In 2005, he merged with Brumund & Jacobs, and subsequently worked extensively in the areas of criminal, traffic and DUI offenses. He is now an active member of the Illinois State Bar Association (ISBA) 1) Criminal Justice Section Council, 2) Traffic Laws & Courts Section Council, and 3) Standing Committee On Judicial Evaluations - Outside Cook County. Recently, he was elected to the Assembly of the ISBA. The Assembly is the supreme policy making body of the ISBA. Additionally, in Will County, he is Chairman of the Will County Bar Association Criminal Law Committee. He is a regular presenter at the Will County & ISBA’s seminar’s regarding Criminal, DUI and traffic offenses. In 2002, he became qualified to administer field sobriety testing in the State of Illinois, and has testified in many Will County Cases regarding the administration of field sobriety testing. His cases appealed to the Appellate and Supreme Court are as follows: People v. Madden, 273 Ill.App.3d 114, 3rd Dist., June 30, 1995; People v. Allen, 375 Ill.App.3d 810, 3rd Dist., August 07, 2007; People v. Love, 393 Ill.App.3d 196, 3rd Dist., June 03, 2009; People v. Miklos, 393 Ill.App.3d 205, 3rd Dist., July 17, 2009; People v. Garstecki, (Illinois Supreme Court) 234 Ill.2d 430, September 24, 2009; People v. Ziobro, (Illinois Supreme Court) 350 Ill.Dec. 839, April 21, 2011; People v. Riffice, 392 Ill.App.3d 961, 3rd Dist., July 08, 2009; People v. Coners, 374 Ill.App.3d 425, 3rd Dist., June 26, 2007; People v. Donnelly, 262 Ill.Dec. 359, 3rd Dist., February 21, 2002; People v. Kazenko, 362 Ill.Dec. 100, 3rd Dist., July 02, 2012; People v. Santovi, 381 Ill.Dec. 686, 3rd Dist., May 27, 2014; People vs. Cannon, 2015 IL App (3d) 130672, January 7, 2015; People vs. Daniels, 16 Ill.App. (3d) 150214-U, (a Rule 23 opinion) September 22, 2016. Do not let fear get the best of you. Criminal charges can be fought. You still have a chance with an experienced attorney on your side.